The perfect place to stop if you’re out on the bike, the Old Firestation Tea Room has everything you need from big breakfasts to light lunch snacks, the menu might not be fancy but the food is guaranteed to put a smile on your face. Even if you’re popping in for a cuppa, you’ll often see lots of walkers and cyclists doing the same, you’ll be welcome with a friendly smile. 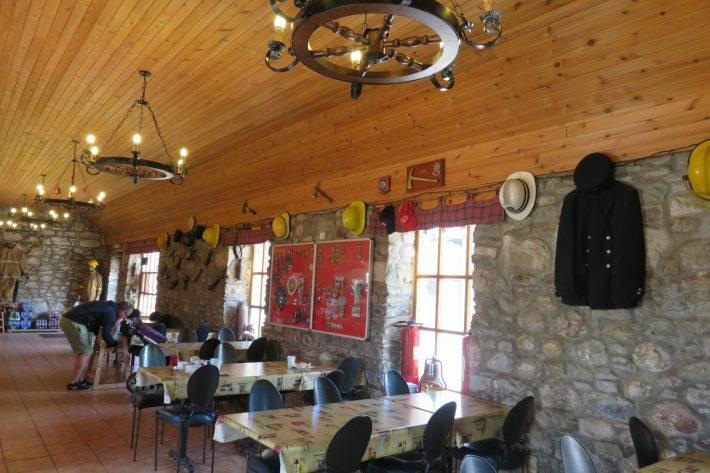 The Tea Room backs onto a large car park and coach park so you’ll never have to struggle to find somewhere to park up, and if you’re touring Scotland then the staff are more than happy to give advice and information if you need it. The interior has a quirky firestation theme but with a cafe style set up. In the winter months there is under floor heating and a log-burner to keep you warm against the harsh Scottish weather.